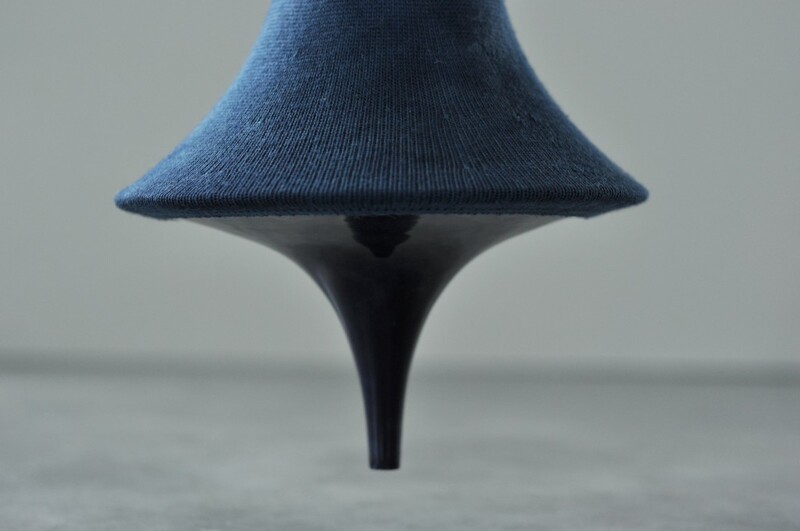 During his studies Philipp Weber collaborated with fellow students Dienke Dekker and Daniel Costa. 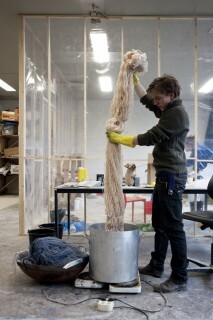 Together they worked with the ‘Audax Textiel Museum’ in Tilburg, the Netherlands. 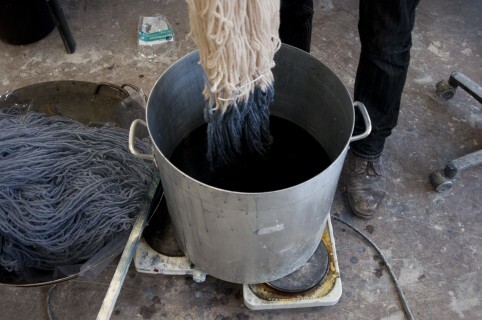 ‘Within a Yarn’ is an investigation of the old craft of passement production as well as an exploration of a modern knitting technique. 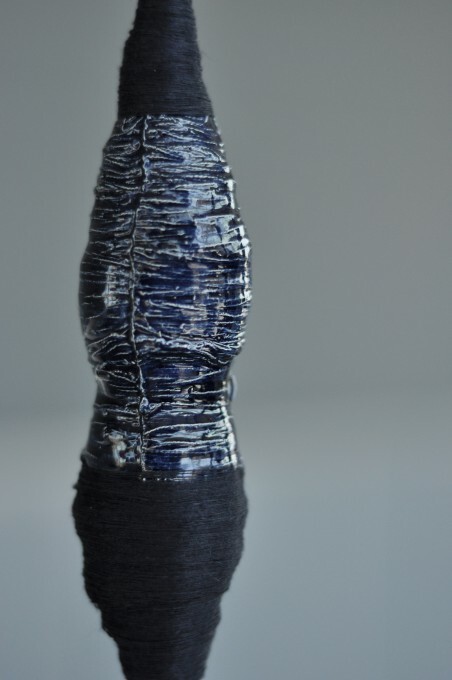 The project’s focus was the creation of volume in textiles using both techniques seperately in order to form a coherent series of objects. 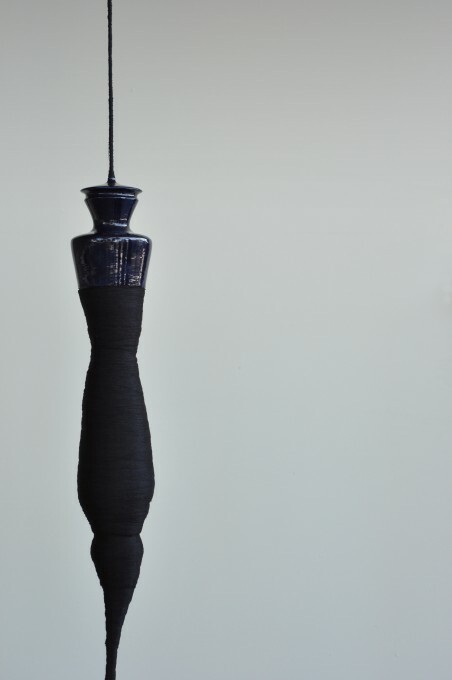 In passement production, a thread is wound around a turning cord. 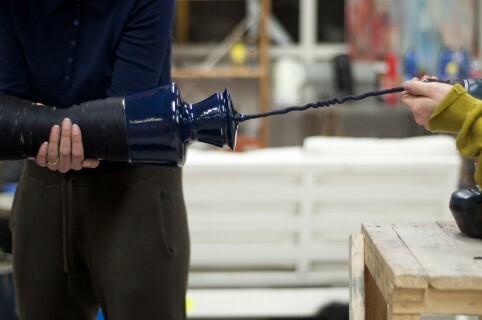 In this way the maker can build up a volume around the cord and therefore give it shape. 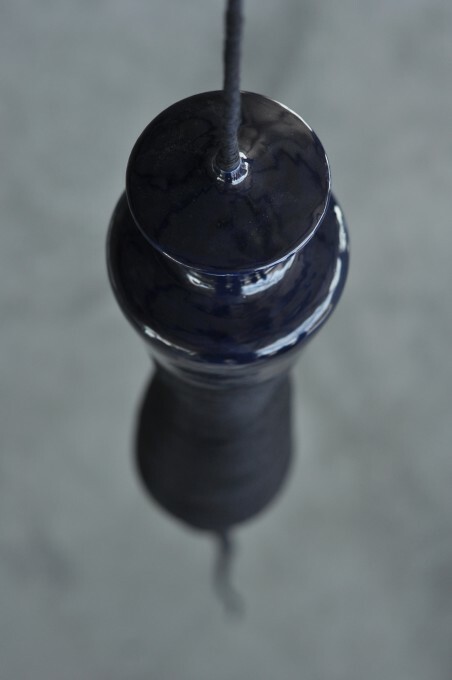 In ‘Within a Yarn’, these passement objects are combined with ceramic elements which are inserted before the winding process. 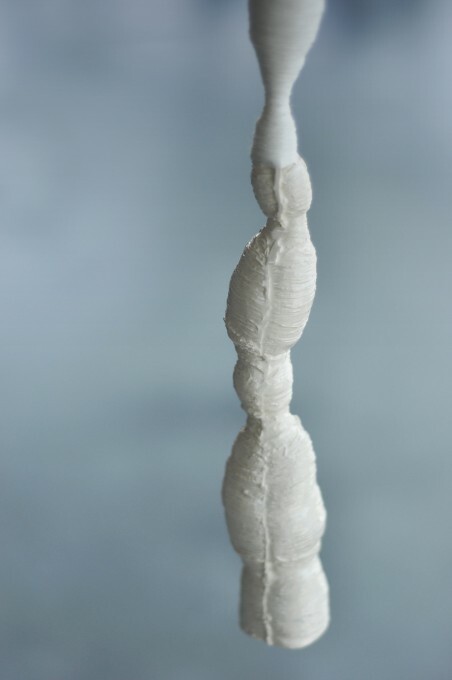 Thread and Ceramic eventually join in a unifying form. 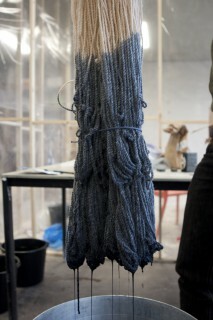 For the knitted objects, the designers create a double knit which disconnects at certain points. 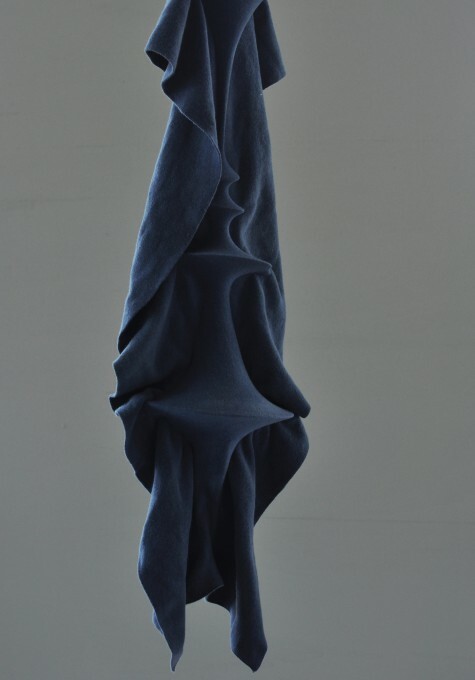 The irregular disconnection forms a hollow space within the textile which is blown up by using a wire frame to stabilize the volume. The experimentation between an often forgotten craft and a modern innovative technique led to a series of unknown possibilities. The outcomes for this project were several different elements intended for space and architecture. 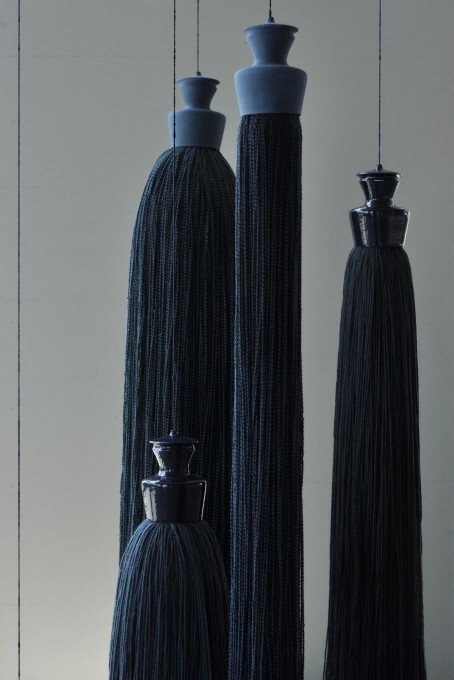 All objects have been shown at the Museum in Tilburg in Fall 2011 and during Dutch Design Week 2011.